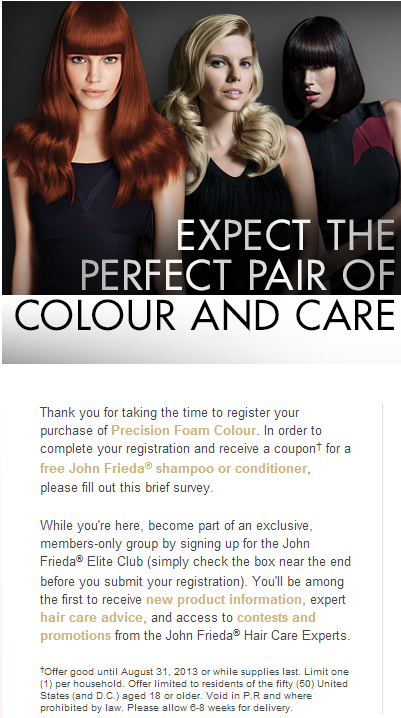 If you head on over to the John Frieda Website and put in information as if you are registering a purchase of Hair Color with the following information, it seems you will be sent a coupon for a free bottle of John Frieda Shampoo or Conditioner. When you go to the site it will ask you what color you have purchased. Pick one of these and then put the corresponding UPC, answer a few survey questions and your done. FYI if you have a John Frieda Account I’m hearing and seeing you will get errors for some reason, so do not login to do this deal, or sign up for the Elite Club again in the process. FREE 2014 Pillsbury Calendar ~ Limited Supply! !